As part of our cultural conversations program, our student edition traveled this morning to the Clark Advanced Learning Center and to Martin County High School. 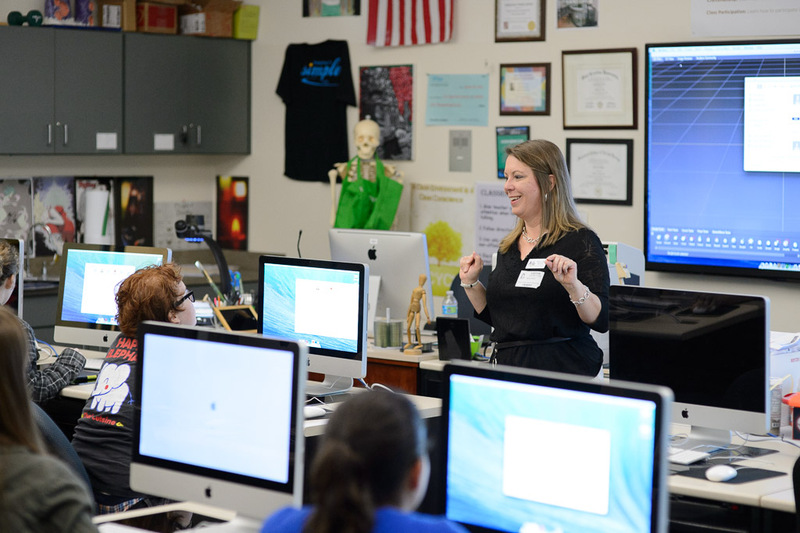 Marcia Moore, a local Digital Concept Artist, visited both the Clark Advanced Learning Center and Martin County High School to talk about her 3-D art work. Her creative visuals were quite exceptional and striking as was her presentation to the students in her tools and techniques. Marcia Moore with one of her 3D renderings printed to a canvas. Marcia with some of her 3D Elongated Skulls.